Three riders were in action at the World Cyclocross Championships today; two putting in decent rides while the third was to crash out. David Conroy was Ireland’s sole representative in the U23 race and finished in 41st place. The national elite cyclocross champion was 4:24 down on winner Tom Pidcock; the Team GB man looking awesome in Denmark. 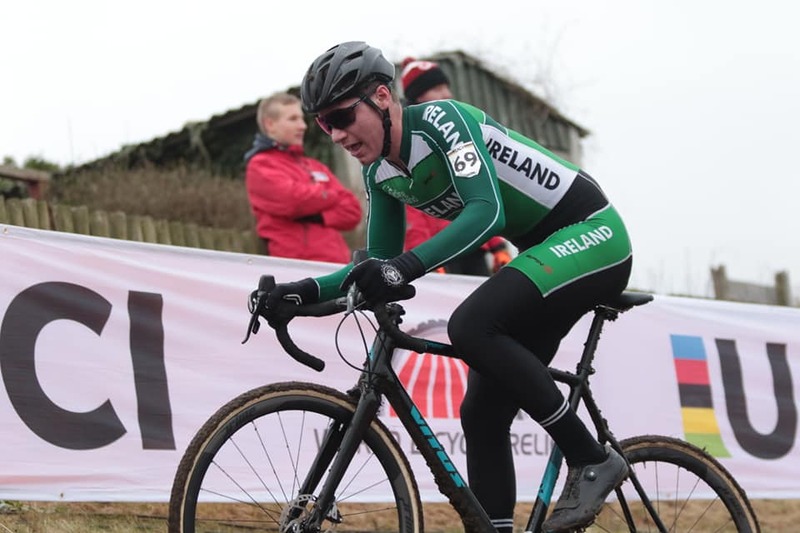 In the junior race, the gold and silver medal winners from the recent nationals, Adam McGarr and Sean Nolan, took to the start line for Ireland. And while McGarr would finish, taking 61st place, Nolan was unfortunate. The Navan Road Club man suffered a crash and was forced out. 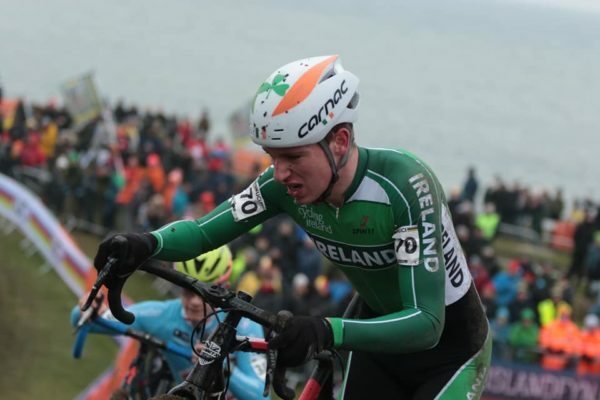 David Conroy is the Irish elite champ and was in U23 action at the Worlds today. 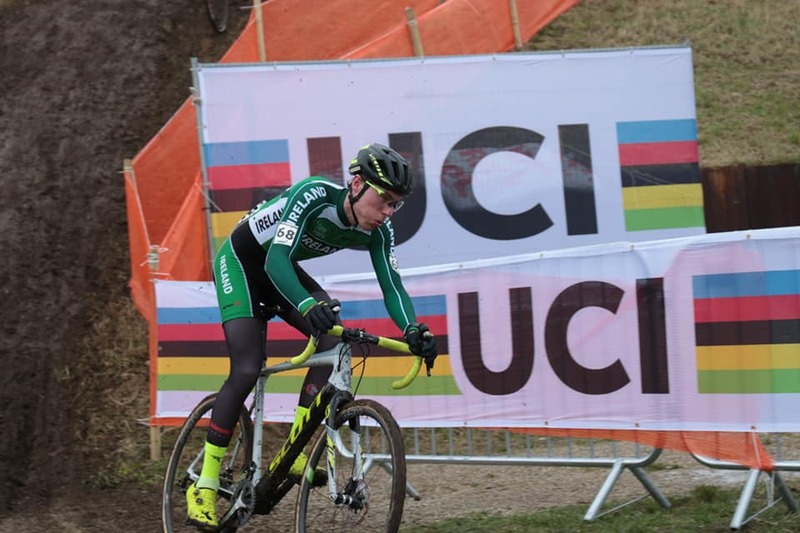 Pidcock won the U23 title in Bogense by 15 seconds from Eli Iserbyt of Belgium. Antoine Benoist of France was another eight seconds back in the bronze medal position. The British were also on top in the junior men’s race, with Ben Tulett retaining the crown he won last year. Today he was 20 seconds up on Belgian rider Witse Meeussen. Another Belgian, Ryan Cortjens, claimed the bronze medal a further seven seconds back. Tomorrow Lucy O’Donnell and Lara Gillespie are in action for Ireland in the U23 race. While both are junior riders, there is no junior race for women at the cyclocross worlds. Sean Nolan was unlucky; a crash forcing him out.